When it comes to creating an e-commerce store, there are many solutions out there that focus on attracting customers attention to your store offerings. Our responsive image slider extension considered to be one of the most simple solutions. We offer to create stunning sliders using either Nivo or Prototype slider options. 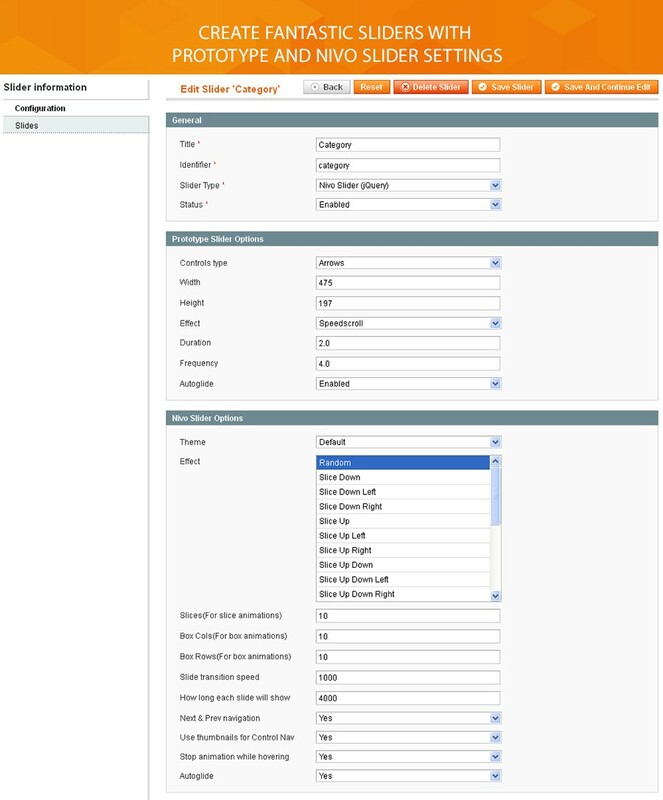 You can easily insert sliders via widget, block or XML code. Try Easy slider in order to achieve a high search ranking for your website. 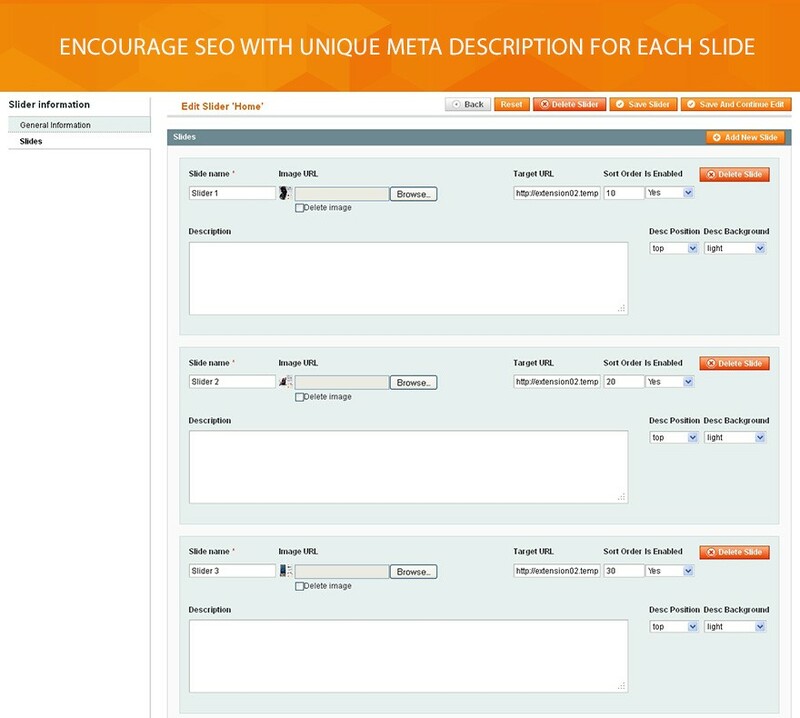 Through the module interface, you can add a unique meta description for each slide, assign it to a slider and link the slide with the product in the store. 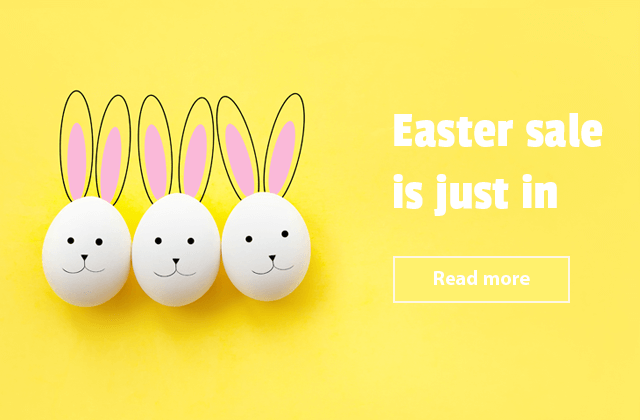 Show more images and advertising information above the fold with our dynamic sliders. 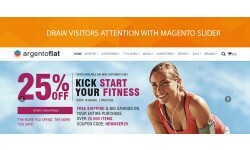 Get benefit of one more way to encourage visitors to buy. Enjoy the ability to change the settings of your image slider. Two types are available: Prototype and Nivo slider (jQuery). Each one comes with plenty of easily customisable settings. If you choose the Prototype, you’re allowed to change a type of controls show, select up to 5 effect types, enable/disable auto guide. You can also alter the width, height, duration, and frequency of slider display. 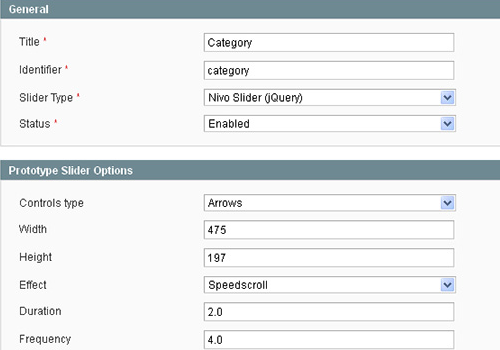 Much more advantages you’ve got with Nivo slider settings. 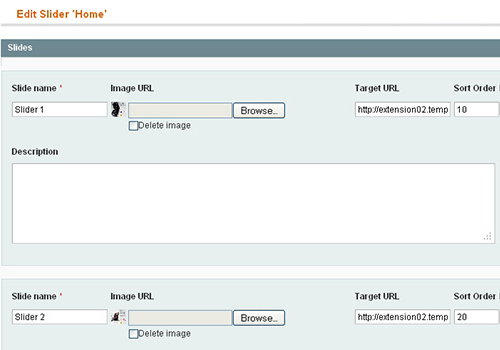 You can configure the speed of transition between images, enable the auto glide and even control navigation settings. Our jQuery Nivo slider supports 18 different transition effects. 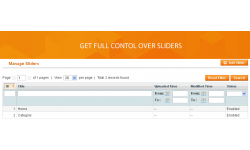 Easy Slider plugin comes with extended slide configuration. 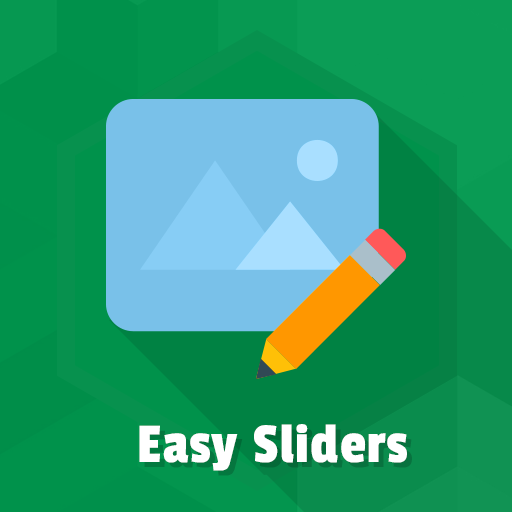 With few clicks of a mouse, you will easily create multiple slides. 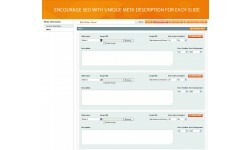 You've got one more chance to build SEO tactic by entering correct HTML content into slide interface. Each slide also contains an image and a link. Choose the window the link will be opened in, specify the sort order of slides display and choose the position and background for slide description display. Our module makes adding sliders quite easy. Feel free to use Easy Slider widget. You can also insert the slider block with XML code or add the slider to your CMS pages and static blocks files as a block code. New slider option in advanced section - 'Space between slides'. New slider options to stop slider on mouse hover and enable lazy load feature. Fixed issue with slider controls on pages with multiple sliders.